Pushing a manual wheelchair can be tiring especially on hills. 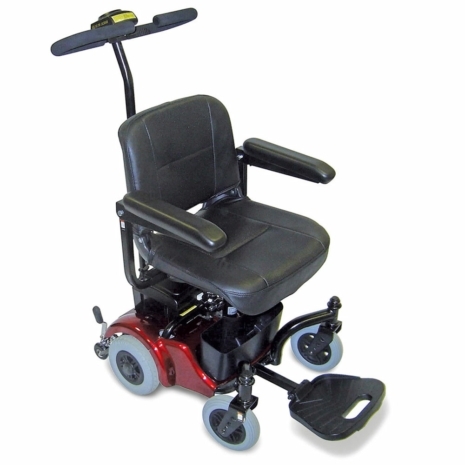 Powered by its battery pack the Rascal WeGo 250 puts you in complete control as the delta-style handlebars allow the carer to manoeuvre with ease compaired to a traditional style attendant electric wheelchair. Offering total security with its additional safety brake and being easy to dismantle and transport in the boot of a car, the WeGo 250 sits uniquely on its own in todays market.